I had a very good reading year in 2014, reading a total of 33 books, vastly outstripping the 15 that I read in 2013, and beating my target of 24 – however I didn’t meet all seven of my aims. Another one I didn’t manage. Unfortunately I get bored of characters and genres so I have to change it up. I vastly overestimated this one. I read 10,815 pages. 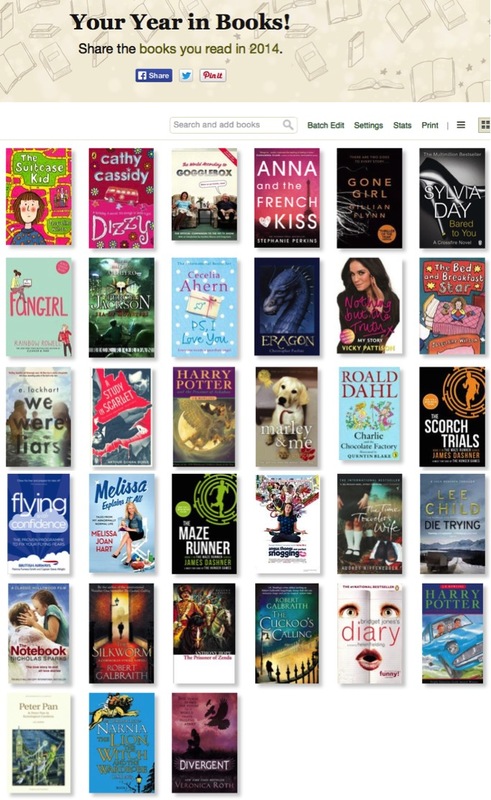 This year (2015), I’ve decided to go one bigger, and attempt to complete the 2015 Reading Challenge, which consists of 52 books in 50 different categories. I am extremely excited to do something different with this challenge, and I’m hoping some of the categories will coincide with ticking some more novels off the Big Read list.